One of the most important piece, yet often overlooked cycling accessories is the heart rate monitor. Sometimes, it’s referred as the HRM. The heart rate monitor provides you with valuable data you can use to measure your progress toward your goals. There are many types of heart rate monitor out there today. But for cycling, the best ones are chest straps based. Otherwise, let’s take a look at the best heart rate monitors for cycling. 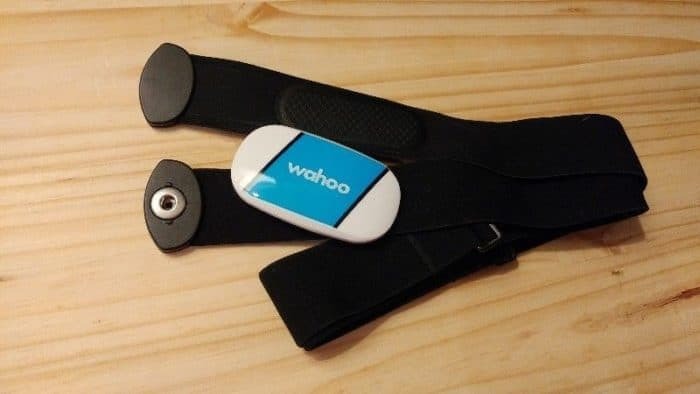 Wahoo offers high-tech products for cyclists and runners. 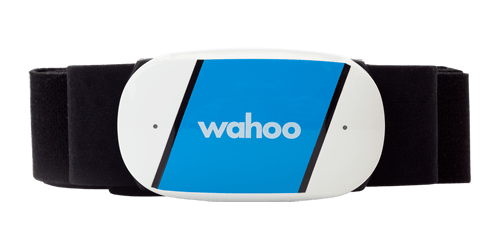 The Wahoo Tickr is currently the most popular heart rate monitor that supports dual-band technology. That’s ANT+ and Bluetooth compatibility. You can easily tell if it’s working by the LED lights. It lights up blue when it’s connected and red when it’s detecting your heart rate. And best of all, it’s one of the few heart rate monitors that are waterproof with a rating of IPX7 (up to 5 feet deep). 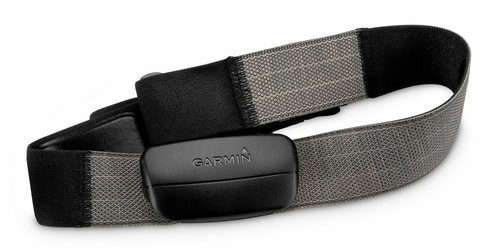 The Garmin Premium HRM comes together with all Garmin Edge devices if you buy them in the bundle. You’ll probably notice that there are several variants of the heart rate monitor. This model is specific for cycling and if you’re into other sports such as running and swimming, consider getting the HRM-Tri instead. Connectivity wise, only ANT+ is supported and it’ll work with all head units that support ANT+. You probably have not heard about this Canadian company, 4iii. They’re an up and coming manufacturer of bike powermeters and heart rate monitors. The Viiiiva heart rate monitor is targeted for more advanced users or the data geeks. 4iiii claimed that it’s 10x more sensitive when compared to traditional heart rate monitors such as the ones from Wahoo or Garmin. It’s both ANT+ and Bluetooth compatible, but that doesn’t stop there. 4iiii takes things a step further by including a ANT+ sensor bridge in it. This allows your ANT+ devices (such as powermeters) to talk to your Bluetooth devices, such as your smartphones. 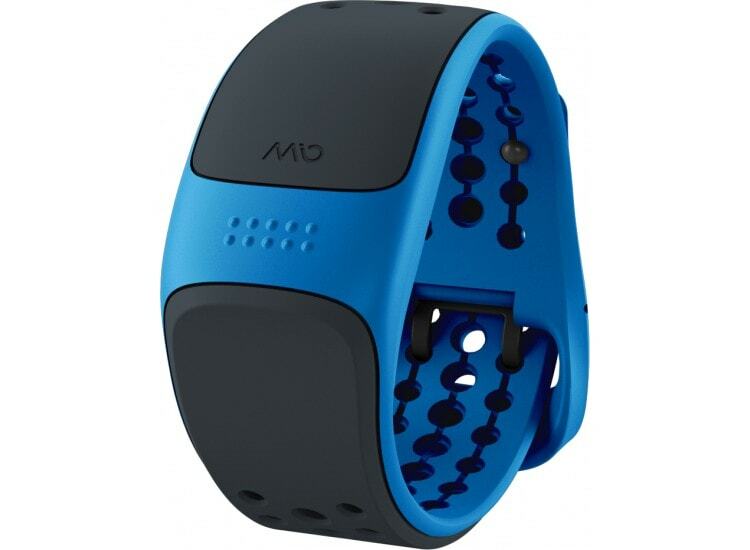 The Mio Velo is a worthy alternative if you’re not a big fan of wearing chest straps. To some, they can be uncomfortable especially if the fit is not snug. As with all wrist-based heart rate monitors, it uses an optical sensor on the underside and a technique called photoplethysmography that shines through your skin to measure your heart rate. It works with both ANT+ and Bluetooth, so you don’t need to worry about devices compatibility. Besides, it can also act as a bridge between your ANT+ sensors to your smartphone’s Bluetooth. Heart rate monitors also allow you to monitor your heart rate in real time during your rides. On top of that, many cyclists incorporate interval training into their rides which involves short bursts of high-intensity riding alternated with slower intervals to recover. Heart rate monitors allow you to determine whether you’re hitting your interval targets while you’re working out. Keep in mind that there is a slight delay between when you increase your intensity and when your heart rate increases. It may take around minute for your heart rate to increase once you start cycling with more intensity. Another more accurate way to measure intensity is using power meters. To train effectively, you need to do it at the right intensity. And using a heart rate monitor is a cheap and affordable way to do so. You’d probably heard about heart rate zones and how training in each zone will have an effect on increasing a specific fitness. If your intensity is too low, you may not get the results you’d like. If you overexert yourself, you could hurt yourself and you won’t be able to work out as long. Having said that, you should always consult your medical practitioner if you have any doubts on your overall health. Heart rate monitors measure your heart rate in beats per minute, or BPM. When you ride at a higher intensity, your heart rate will be higher. Monitoring your heart rate allows you to ride safely and stay within your physical limits. You can determine the appropriate target heart rate and strive to stay near that target. You can also track your overall fitness by using a heart rate monitor. As your fitness level improves, you will be able to ride harder and faster without your heart rate increasing as much as previously. You’ll also notice that you’ll be able to ride at the same heart rate without feeling breathless or tired easily. You can review your data to get a sense of whether your fitness is improving and set new goals accordingly. Like the name implies, you’ll need to wear a chest strap around your chest. Right in the middle of the chest strap where your heart it sits a sensor unit. The sensor unit collects and transmits the heart rate readings to a head unit which then displays the them to you. It houses a small, user replaceable coin battery, typically a CR2032 and all the electronics for connectivity which I’ll talk about next. 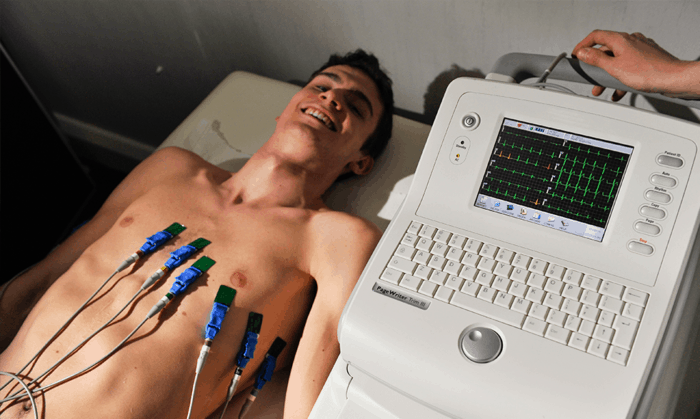 Your heart rate readings are collected using a technique called electrocardiography which measures the electrical activities of your heart. This is done via a pair of electrodes, a shiny and flat panel at the back of the strap which are in contact with your skin. Optical are mainly found in wrist-based fitness tracking devices. You’ll see green LEDs on the underside and they shine through your wrist to obtain your heart rate. A technique called photoplethysmography (PPG) where the light is shined to your skin to measure the blood flow through your wrist. The reflected or refracted light will then be collected by the sensor which then computes your current heart rate. PRO TIP : Use a chest strap heart rate monitor for cycling. Heart rate monitor is just a sensor and it needs to communicate with a head unit to display all the readings. For cycling, the head unit can be either your GPS computers or even your phones if you’re running apps like Strava. There are 2 types of wireless connectivity protocols used in heart rate monitors today. ANT+, often pronounced as ant plus is a wireless communication protocol designed and maintained by the ANT+ Alliance, which is owned by Garmin. That’s also one of the reasons why Garmin is a big proponent of ANT+. Up until 1 to 2 years ago, almost all heart rate monitor uses ANT+, but things are starting to change recently with the increasing popularity of Bluetooth. Bluetooth is another type of wireless communication protocol which has been around since 1994 when it was invented by Ericsson. Since then, Bluetooth has undergone several refinements. The latest Bluetooth Low Energy (LE) version has been increasingly used in sensors such as heart rate monitors as it requires much less power to run than its predecessors. PRO TIP : Since ANT+ and Bluetooth protocols are standardized, you don’t need to use the same brand of heart rate monitor and the head unit. Since we’re talking about heart rate here, accuracy matters. In fact, you’d want a heart rate monitor which is not only accurate, but consistent and reliable. The chest strap wins hands down in this. The reason is because chest strap’s sensor is placed next to the heart and this allows it to capture a very strong signal compared to other locations around the body. To put things into context, medical professionals place 12 leads throughout the body to perform a ECG test and most of these are around the heart. The heart rate monitor is a simplified version of this technique. Since the strap is worn snug around the chest, you can expect consistent and reliable readings since it barely move at all if worn correctly. But that’s not to say that optical heart rate monitors are not accurate at all. They’re accurate for daily use but not ideal when you’re working out hard where your heart rate rises and falls within a short period of time, like in an interval training. Optical heart rate monitors don’t track sharp rise and fall effectively and you’ll typically see a lag in the reading. PRO TIP : Chest based heart rate monitors are more accurate. For your heart rate monitor to be effective, you need to use it correctly. The exact care instructions vary depending on your specific model. In general, here’s how you should care for your heart rate monitor. 1. Wet the strap before use. It’s best to wet the entire electrodes on the strap before you put on the monitor. Even if you’re going to be cycling in wet conditions, it’s still best to wet your strap before you ride to get the best reading. It’s easy to get your monitor upside down. This can interfere with effective readings. Look for the left and right side labels on the straps and place the monitor centrally on your chest. It should fit snugly and you should also make sure the unit is right-side up. 3. Wash after every use. The build up of sweat and salt can directly affect the heart rate monitor’s accuracy. Check the label or instructions to see if can be machine-washed or hand washed. If you’re machine washing, use a washing bag or mesh laundry bag to keep it from getting tangled in your other laundry. Do not put the strap in the dryer. Use a mild detergent or dish soap to wash it. 4. Remove the sensor unit from the strap to let it dry. If you don’t remove it, it could lead to corrosion around the metal parts on the sensor. Corrosion could interfere with getting accurate, effective readings. If you notice corrosion, you can wipe it off with an alcohol wipe. 1. Are the heart rate monitor straps replaceable? Most heart rate straps are replaceable since the sensor unit can be easily removed. 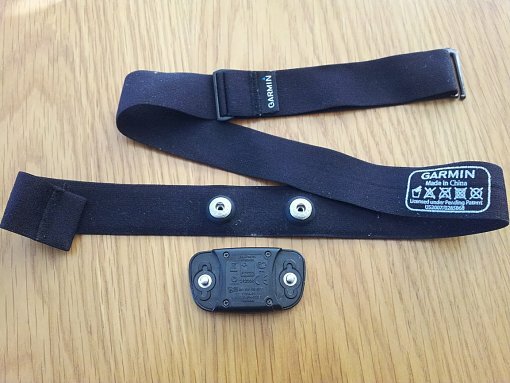 When you’re buying a replacement chest strap, make sure to check that it’s compatible with your sensor unit. Sizing wise, it’s adjustable and one size fits all. So, you don’t have to worry about that. There are also some generic ones that are compatible with all the major heart rate monitor brands. 2. Are heart rate monitors waterproof? It’s best to read the manufacturer’s exact specifications. But in general, all heart rate monitors are water-resistant at the minimum. 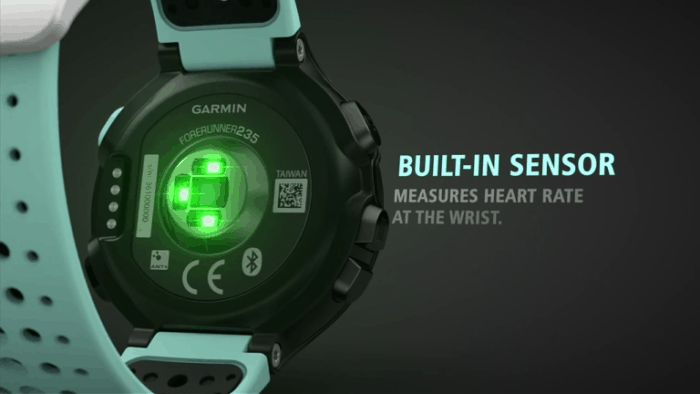 Those which are waterproof cannot transmit real-time heart rate readings due to how the technology works. ANT+ and Bluetooth uses the 2.4Ghz microwave frequency band for transmission and these radio signals are easily absorbed by water. 3. Can I use a wrist based heart rate monitor for cycling? Yes you can. But I wouldn’t recommend you to do that for the reasons I’ll explain below. Fit. A wrist based heart rate monitor doesn’t fit as snugly as a chest strap. Your hands movements will cause it to move around and hence affecting the reading. Real-time Display. While the wrist based heart rate monitor collects readings, they typically don’t sync with your GPS unit. Hence, you’ll need to keep glancing on your wrist to see your heart rate, which can be dangerous especially if you’re riding in a group.